Lucknow: The Uttar Pradesh urban local body polls is likely to see the BJP coming out with its election manifesto, which may be similar in nature to its Lok Sankalp Patra, which the party had brought out before assembly polls. Uttar Pradesh will see three-phase civic polls from November 22, making it the first electoral examination for the ruling BJP, which stormed to power in the assembly elections earlier this year with a massive mandate. "The party is planning to come up with an election manifesto for urban local body elections. The main aim is to ensure overall improvement of municipal corporations and other urban local bodies in the state. Through the manifesto, the endeavour of the party will be to establish a direct connect with the public and find alternatives to their problems," UP BJP spokesperson Rakesh Tripathi said. "The focus of the manifesto will be a pledge to simplify the complex tax structure, while also simultaneously increasing the municipal tax ambit and bringing more and more people under the tax net. At the same time, focus will be laid on strengthening urban public transportation and improve drinking water," he said. Exuding confidence that the party will make a clean sweep in urban local body polls, Mr Tripathi said, "We aim to win all 16 municipal corporations this time. It will be a hat-trick for us after the massive wins in the 2014 Lok Sabha polls and the 2017 assembly polls." As per the election schedule, 24 districts will go to polls on November 22, while 25 districts on November 26, and 26 districts on November 29. 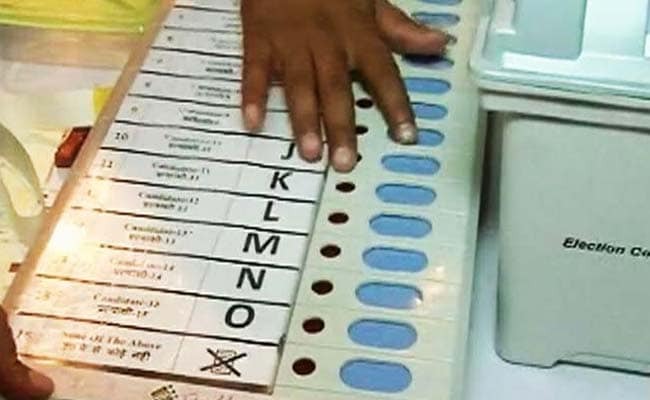 Counting of votes polled for 16 nagar nigams, 198 nagar palika parishads and 438 nagar panchayats will be done on December 1. More than 3.32 crore voters will be eligible to cast their ballots at 36,269 polling booths and 11,389 polling stations.